Juice feasting for the summer | Fat girl gone RAW! Spring was a whirlwind of end-of-school activities, kickball games (my 14-yr-old daughter was on the number one team this year!) and working to keep up with the kids as they geared up for summer vacation. Now that we’re a full month into vacation mode, I have finally figured out a routine that allows me some time to do another juice f(e)ast. My last 10-day fast was in March of this year, and I was feeling great afterwards. I had just started to do some light jogging, was feeling really happy with my physique and continued to hold steady with my weight. Unfortunately, I had an unplanned emergency surgery in May, and my energy levels, and diet, really went downhill. Five weeks later, I’m still not 100%, so I decided I needed to try a cleanse to reboot my system. I’m three days in, and my energy levels have definitely risen some, but I’m still in the “take it easy” phase of recovery, so I can’t do as much as I’d like. The big benefit of juicing, though, is that I know I am healing my body from the inside out. All the imbalance that happens after a major trauma can be repaired, if you work hard enough at it. That’s my theory, at least. 🙂 We’ll see how it pans out at the end of my fast. In the meantime, I’ve put together a couple of new juice recipes I think you’ll enjoy. I’ve tried a couple of smoothie recipes that didn’t come out the way I wanted, but I’ll be tweaking those as the week progresses. One in particular that I’m excited to share is a “blackberry pie” recipe. I’m hoping I can get it right for the next blog post. Here are a few of the juices and smoothies that I’m drinking this weekend! I’m a big fan of the concept of V8 juice, but not the actual “juice” itself. Thankfully, it’s fairly easy to reproduce the flavor. My inspiration for this juice was actually a Bloody Mary cocktail, but I think this works well, even without the alcohol! Give it a try and let me know what you think. Run all ingredients through the juicer – you may want to strain this juice if you do not care for pulp. This mades about 16-20 ounces of juice, depending on the type of juicer you’re using. I love this as a lunchtime juice – it’s savory and a little salty – very satisfying! 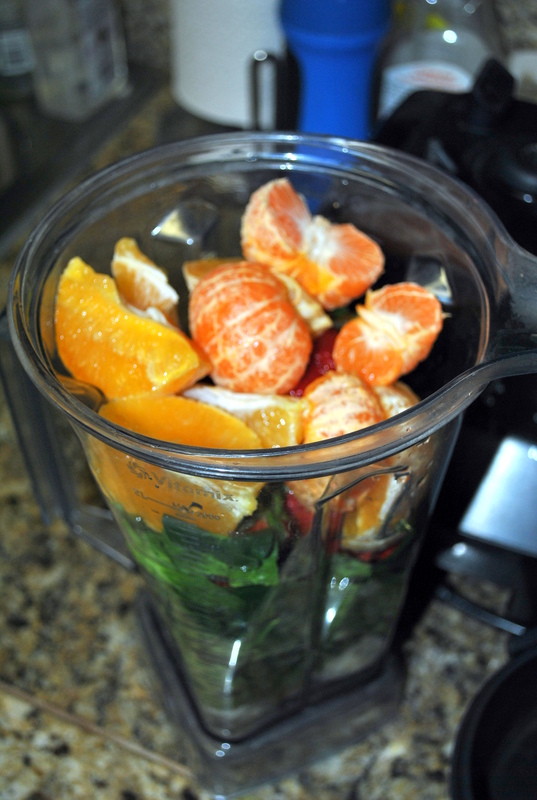 This is a simple juice that’s full of goodness. 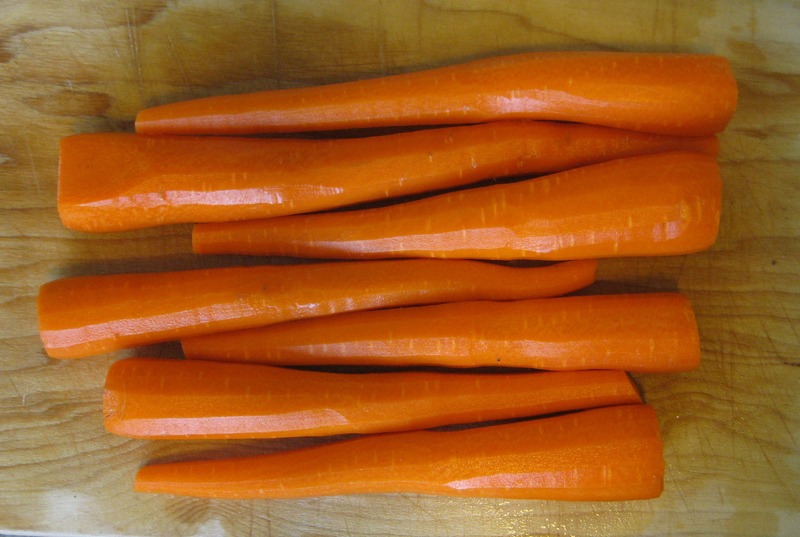 According to living-foods.com, carrot juice is one of the richest sources of vitamin A that can be used in the daily diet. It also ranks high as a source of the other vitamins, especially those of the B complex. Its mineral content is equally rich, and includes, calcium, copper, magnesium, potassium, sodium, phosphorus, chlorine, sulfur, and iron. One word of advice: depending on your juicer, you may need to clean out your filter about halfway through the juicing process. The filter can get clogged with pulp from the apples. You can juice the lemon with the peel to help push some of the pulp through the filter. Blend the room temperature items first, then add the frozen fruit. If you’re having trouble with the color of green smoothies, you can leave out the spinach. I find that the spinach really doesn’t change the flavor that much, and studies show that consuming vitamin C alongside your iron-containing food (spinach) might be essential if you want to get the full benefits! Finally, I’ll share a recipe I found this weekend for a raw peach gazpacho – it was really good! Ingredients include fresh tomatoes, peaches, cucumber, lemon and basil. Check out this recipe from recipe by Jenné Claiborne of www.sweetpotatosoul.com – perfect on a hot, summer day! « Fat girl gone raw….one year later!